852115 Vader's TIE Fighter is a Star Wars key chain set released in 2007. 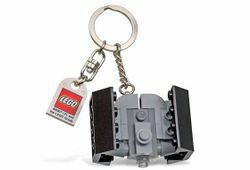 It contains a key chain of Darth Vader's TIE fighter. Facts about "852115 Vader's TIE Fighter"
This page was last edited on 9 January 2016, at 23:45.